In Hinduism, pūja (or pooja) is essentially a ritual or ceremonial worship, in which offerings are made to God with devotion to earn his love and blessings. Although outwardly it may appear as a mechanical ritual, it has a hidden significance. The act of puja is a symbolic offering of one’s whole mind and body, thoughts, desires, actions and possessions (in short whatever one has and is) to God as a mark of devotion and surrender, enjoying whatever that comes in return as a gift from him. Probably, it originated from the Tantric methods of worship. However, it has aspects of both Vedic sacrifices and Tantric rituals, which are responsible for its simplicity and universal appeal. Presently, puja is the most popular form of divine worship in Hinduism. It is performed either by individuals or by groups and either directly by a worshipper or indirectly by a priest on behalf of the worshipper. It is also universally practiced in all Hindu temples. In today’s world, Puja has practically replaced Vedic sacrifices as the central feature of Hindu worship since it is easier to practice even by lay people, and the mediation of a priest is not mandatory. Technically, it is a domestic sacrifice, practiced by dutiful householders and devotees of God as part of their daily devotional service. Although lay followers of Hinduism take liberties with their methods of worship to express their love and devotion to God in their own individual ways, the traditional form of puja has a definite form and structure, which is usually followed in many traditional households. Its more elaborate versions are used in temples and religious places by priests to perform ritual worship and make offerings to the temple deities. Some pujas are conducted for a few minutes while some may last for several hours. The way a puja is traditionally conducted in Hindu households is in the same way a guest is invited into a house by the householder and treated with utmost respect. Hindu tradition equates a guest (athidhi) with God with this simple expression, "Athidi devobhava," which means a guest is verily God Himself. We have elsewhere discussed both the outer aspects of puja and its historical development. Here we will discuss the symbolic significance of puja and the symbolic meaning of the various objects which are used during the ceremony. The word "pūja" means adore, worship, revere or treat with honor and respect. Pūjanam is the act of worship. Pūjarha means that which is worthy of worship or adoration. Pūjitha means that which is worshipped, revered, recommended for worship or endowed with divinity. Pūjya is an honorary title used to denote people who are worthy of respect and honor in society. The priest who performs puja in a temple is pujari. Etymologically, the word consists of two letters, “pū” and “ja.” It can be interpreted both literally and symbolically. The following are the two literal interpretations. According to one literal interpretation, pū means to purify, cleanse or make pure and auspicious. In a ritual sense, it means to expiate or atone for. “Ja” means birth. Thus, puja means that which cleanses or purifies the birth or life of a person. 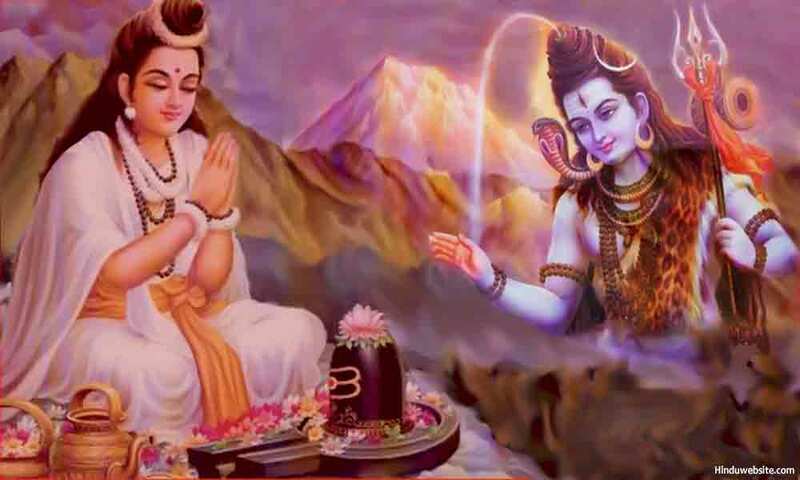 It is possible that in the remote past puja was used to seek forgiveness through ritual cleansing to remove the sins of one's past and past lives for peace and prosperity or a better next birth. According to another literal interpretation, Pū not only means to cleanse or purify but also to discern, think clearly or discriminate. “Ja” means origin or manifestation. Thus, according to it, puja is that which leads to the cleansing of the mind and body through the predominance of sattva and thereby to the discerning wisdom (buddhi). According to our scriptures, discerning wisdom arises as the mind becomes established in the contemplation of the God or the deity. We know that puja is an essential aspect of devotional worship and has the power to stabilize the mind and grant us wisdom by opening our eyes to the hidden truths of our consciousness. From a symbolic perspective, three other interpretations of puja are also possible. They are not found in standard texts, but the subjective interpretations of this author only. They are explained below. According to the first interpretation "pu' means "purusha" and "ja" means "janma,” or to arise or wake up. In other words, puja means that which awakens the Purusha or the soul either in the body or in an object of worship. During the puja ceremony prana (life breath) is poured into the inanimate image of the deity, which is usually made of stone, wood, clay, etc., whereby it is infused with life and becomes a living incarnation of the deity (arca). Symbolically, the act of worship (puja) awakens the hidden deity in the body, which is the self or purusha and fills the devotee’s mind with pure consciousness or intelligence. When the image of the deity is infused with the power of God due to its continuous worship by devotees, it becomes a powerful cleansing object. Hence, the images which are installed in the temples are also called vigrahas. Vigraham (vi+graham means that which removes the ill effects of the planetary bodies (grahas) or the sinful actions of the sense organs (grahas). According to the second interpretation, "pū" represents flower (pushpam) and "ja,” water (jalam). As stated before, “ja” also means japam (recitation). Thus, according to this figurative interpretation puja means that which involves the use of flowers and water and uttering of prayers and God’s names. In the puja ceremony flowers and water are used not only for decoration and ritual cleansing respectively but also as offerings, while prayers and God’s names are chanted. Therefore, we may say that puja is a devotional service, in which water and flowers are offered to God, along with the recitation of His names. Lastly, puja (pa + ū + ja) consists of three letters namely one labial consonant "pa," one vowel “ū” and one palatal consonant "ja.” "Pa" represents "parayana" or the continuous repetition of the names of God and "ja" represents "japa" or the continuous mental recitation of the names of God. Thus, according to this interpretation "puja" is essentially a kind of worship in which both parayanam and japam are practiced by the devotees along with the offerings. In a puja ceremony, we use certain objects, mantras and methods of worship. Outwardly, they are meant to propitiate or appease the deity who is being worshipped. Inwardly, they are meant to establish a deeper connection with him and earn his grace. The idea is that by using them in our worship we gain the grace and goodwill of God. However, no puja should be conducted with irreverence or mechanical attitude, but with devotion and sincerity only. It should not also be conducted for personal gain but to express our love, devoting and surrender to God. The scriptures state that if pujas are not sincerely conducted in the prescribed manner, they may produce negative effects or fail to produce desired results. The mundane purpose of a puja is to please the god and fulfill one’s desire or overcome some problem. The highest purpose of it is to serve God and declare one’s love and devotion to him without expectations. The quality of puja depends upon the intensity and purity of devotion and the devotee. As we understand from the Bhagavadgita, only those who have the predominance of sattva can truly worship God with purest devotion. The devotion of others may remain tinged with the impurities of egoism, desires and attachments. Traditional pujas in Hinduism followed a structured format. Every aspect of it has a purpose and significance. It helps you concentrate your mind upon God and declare your faith in Him in a heightened state of devotion. By following the procedure, you express your commitment to the discipline and your willingness to forego your personal preferences in deference to God and as a mark of true surrender. The traditional pujas have four important aspects, the offerer (pujaka), the offering (samarpana), the object of offering (pujitha) and the remains of offerings (prasada). The offerer is usually the devotee or a group of devotees. In elaborate pujas, one or more priests may perform the puja on their behalf. During the puja, the deity is made various offerings and treated with utmost respect like a venerable guest. They include food also. At the end of the pujas, the offering of food is distributed between the devotees and the priests. The offerings that are mainly made to the deity are prayers and chants (dhyanam), ceremonial welcome (ahvanam), a seat (asanam), cleansing water (arghyam), drinking water (achamaniyam), sweet drink (madhuparkam), bath (snanam), clothes (vastram), sacred thread (upavitham), sandal paste (gandham), sacred grains (akshitam), flowers (pushpam) and songs (kirtanam) . Collectively, they represent the objects of the five senses. In other words, in the performance of a puja we engage all the five senses in addition to the mind and the body. The offerings are meant to declare one’s allegiance to God and establish a direct relationship with him on a personal level. We discuss below the symbolic significance of a few important offerings which are made during a puja ceremony. The invitation marks the beginning of a puja. It represents the formality and the dutifulness with which the ritual needs to be conducted by the host. The puja is not a mere mechanical ritual. It is like a sacrament (samskara), which demands sincerity, discipline and respect. In puja, you do not merely worship the gods in the heavens with prayers. It is not a remote exercise. Instead, the worshipper invites the deity to his house, treats him like an honorable divine guest, offers him a seat and directly worships him as if he is seated in front of him. This is a unique approach, which is not found in any other religion. The traditional host of the sacrifice (yajamana) in the Vedic ritual becomes the worshipper or bhakta in the ceremonial puja. During the worship, he not only establishes a close connection with God but also represents God in the sacrifice of life as the upholder of Dharma, performing the triple functions of creation, preservation and destruction. He prepares the ritual place and creates the form of God with his mind and body. As the preserver, he makes offerings to him for the welfare of himself, his family and the world. As the destroyer, he concludes the worship, by withdrawing the deity from the image. The puja is not a mere idol worship. The images which are worshipped in it are considered living incarnations of the deity. They are treated as if the deity has descended from above and established himself in it. The ceremony therefore demands purity and sincerity of the worshipper. The image helps the worshipper concentrate his mind during the worship and feel close proximity to the deity. Symbolically it represents the materiality and all pervasiveness of God and his presence even in inanimate objects. It is generally placed as the chief deity or by the side of the chief deity before starting the puja. Symbolically it stands for mother goddess in general, or goddess Lakshmi in particular. It consists of an earthen or a metal pot, with either water or rice in it, with leaves (of generally five specific kinds) on its rim, with a bowl of rice, flowers and a coconut adorning its top. The pot represents the mother earth, the flowers represent the ornamentation, the rice in the bowl represents either the material wealth or the powers of the goddess or both, and the coconut represents the divine consciousness. The food which we offer to the deity stands for the elements and the gross body, which is made of food only. We offer food to God as a sacrifice, because we believe that all the food in the world belongs to God and is created by him. We also consider him the devourer or the lord of Death, whose hunger is never satisfied. By offering him food in a puja, we appease his hunger and earn his protection from the impurities of death, decay, ignorance and delusion. Food also represents materiality and worldly possessions, which we have to renounce to achieve liberation. Flowers have fragrance, color, beauty and tenderness. They symbolize selflessness, self-sacrifice, detachment, surrender, faith and positive emotions. By offering them to God, a devotee declares the purity and sincerity of his devotion and the tenderness of his feelings, and earns his reciprocal love. Flowers also represent whatever that blossoms in you, be it good or evil, intelligence or delusion, and knowledge or ignorance. By offering them to God, you cleanse yourself. The fruits which are offered in worship represent the sweetness of the soul or the devotion of the devotee. By offering them to God one earns the right to experience the blissful state of liberation. Phal also means result, consequence, or whatever that ripens or is accomplished. By offering the fruit to God we symbolically offer him the fruit of our actions and achievements. As the Bhagavadgita declares one should perform actions as a sacrifice and offering to God without desiring their fruit. By offering fruit in the pujas, we symbolically make this gesture. Overtime, it washes away our sins. During the puja ceremony water is used as a drink (achamaniyam) and cleansing agent for cleaning the ritual place, the image, and oneself (arghyam, padyam and snanam). Water represents the purifying agent, the remover of physical and spiritual impurities. It also symbolizes life (prana), consciousness, the blood and the water element in our bodies. By offering it to God we unburden ourselves from sinful thoughts and actions and cultivate sattva. Sandal paste or fragrance substances are applied to the deity during worship. The type of fragrance used in worship depends upon the nature and the preference of the deity. By applying it we purify the image and impart to it divine fragrance. Symbolically gandha represents desires, attachments (vasanas), likes and dislikes, latent impressions, properties, qualities or gunas, pride and arrogance. By offering them to God we purify ourselves and stay free from evil influences. Incense or frankincense is offered to God as part of the offerings. It is meant to cleanse the air and drive away evil spirits. The smoke which arises from the incense represents our clouded consciousness, delusion and ignorance. We are subject to these impurities in the mortal world, which cloud our perception and consciousness and prevent us from achieving liberation or knowing the truths. By symbolically offering them to God we cleanse our minds and bodies and cultivate discerning wisdom. Our world is a world of light and darkness. Our minds and bodies are susceptible to evil influences, darkness and delusion. The light which is offered to the deity in the puja symbolically represents knowledge, wisdom, purity and divinity. By offering it to God we remind him to endow us with these divine qualities and save us from the darkness of the mortal world and the negative consequences of our karma. We request him to show us the light and lead us in the right direction towards liberation. Both are used in the worship to adorn the image or put a mark (tilak) upon our heads. In the worship of Devi and several gods it is also used as an offering. Symbolically, the saffron powder (kumkum) and the turmeric powder used in the worship represent tamas and rajas respectively. By offering them we seek the predominance of sattva. Kumkum also stands for the blood in the body. It is the symbolic alternative for the blood of humans or animals, while turmeric represents the body vigor (tejas). By offering them to God one seeks strength, vigor and longevity. During the puja ceremony, the remnants of the food which has been offered to God is called prasadam, which is a combination of pra + sat, meaning that which fills the prana with light and truth (sat). The belief is that when we offer the food to God it becomes suffused with the light and purity of God and thereby becomes sacred. By eating it, we become purified and suffused with his light and power. Symbolically, it represents the graciousness, kindness and serenity of God. Through the remains of the offering they become transferred to the devotees. Lastly, by sharing it with others the host of the puja engages in charity and good karma, which is beneficial to him as well to those who participate in the ceremony. The puja ceremony of Hinduism is a ceremonial declaration of love, devotion and allegiance to God. It is an opportunity to establish direct communication with the deity in which both the mind and the body wholly participate. It is also an act of offering, sacrifice and charity, which combines in a holistic approach the aspects of karma yoga, jnana yoga, buddhi yoga, sanyasa yoga and atma samyama yoga. By practising it regularly, one cultivates discipline, concentration, devotion, purity, and equanimity. It is the simplest and straightforward way to earn the grace of God and achieve liberation. What Is The True Purpose of Prayers?